Ever fighter has aspirations of being the best fighter they can be. Only a select few manage to reach the very top of their craft. Langford is no different and he managed to get himself into the position where, if he beat Avtandil Khurtsidze, it would have put him in the position to challenge Billy Joe Saunders for the WBO world title. Langford went on to lose the fight in what was a poor and disappointing 2017. 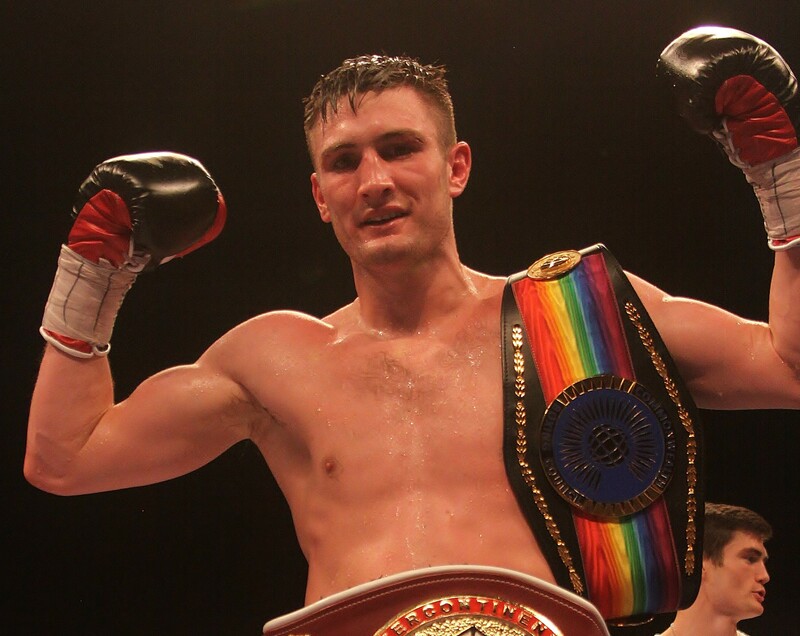 He has a chance to amend things when he defends his British title against Jack Arnfield. Victory will give him a good ranking with the WBA and IBF, and a title opportunity wouldn’t be too far away. “I just want to be busy. I’m not going to say I wouldn’t love to own the Lonsdale belt, I would, but it’s taken me 18 months since winning the belt to defend it once. The trouble with titles is you can get wrapped up in things and it takes a long time to do defences. “I can’t wait another 18 months for another defence – I got to earn money, I got a family to support now. I need to get regular fights and I’ll fight whoever, whenever and for whatever. If that means moving on from the British (title) I’ll do it, or if it means holding on to it and defending it, I’ll do that. Every fighter looks at the top fighters of their division and dreams of sharing a ring one day and testing themselves against the very best. “I haven’t got a dream opponent; I’ll just fight whoever is put in front of me. If you’re talking about dream fights, you’re talking about world title fights and that’s Billy Joe (Saunders) or (Gennady) Golovkin. “Billy is not a dangerous puncher but looked phenomenal in his last fight in fairness to him. I’ve been one person in the past who said I fancy fighting Billy Joe Saunders. I said I would but he looked very good, very slick, very hard to beat and Golovkin’s Golovkin. Who would my dream opponent be? – Anybody who’s ranked higher than me or got a belt better than me. “I’d like to push on and have a stab at the European title. Emanuele Felice Blandamura is the European champion at the moment – I think he’s got a mandatory against a Polish fella. Whoever the champion is, when I get to the mandatory stage I’d like that. “I’d like to tick the boxes this time before jumping in at world level. I’d like to work my way up steadily beating Arnfield will give me a world rating with the WBA and IBF – I think he’s number 8 or 7 with them. That would push me on.